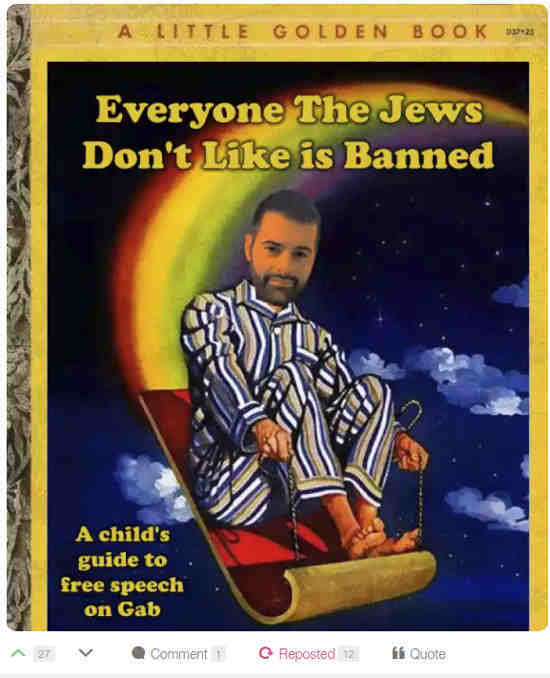 [I was surprised and delighted to see that the first meme of Andrew Torba being a moron with Jewish Censorship on Gab is doing the rounds. I’ve already been talking to The Censorship Jew, as I called one of the bold f*cking morons on Gab who thinks he’s going to scare us. I’m still going to tell him that he’d better get ready because in WW3 (Jews+Blacks Vs Whites), we’ll hunt them down like the dogs that they are. Scum. ← 4 Pics: Jewish Indoctrination of White Kids: Its time to turn off the Electric Jew & stop the White Genocide!